Casual dining is at its best at Brazz. Stop by for a full meal and a few pints. Brazz has been a great destination for casual dining since 2002. 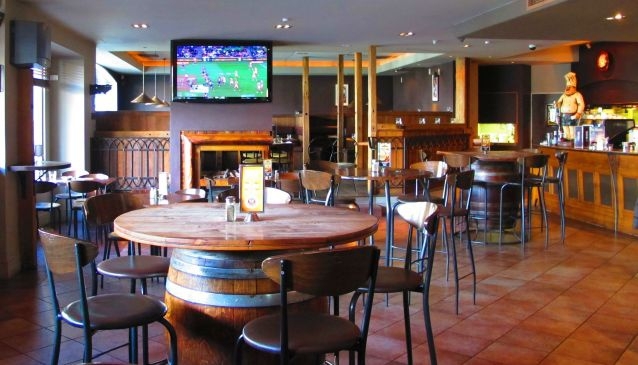 Located in the centre of Queenstown, this popular bar and grill serves up hearty and delicious food, three meals a day. From fluffy pancakes and eggs benedict at breakfast, to steak and pork belly, there is something to please everyone. Meat-lovers should be sure to try Brazz's famous ribs. Groups of all sizes can be accommodated at Brazz. With a capacity of 150 people, and four distinct sections with their own feel, the bar has hosted a number of small events for work and social purposes. The restaurant also features four TV screens, so you won't miss a second of the big game.